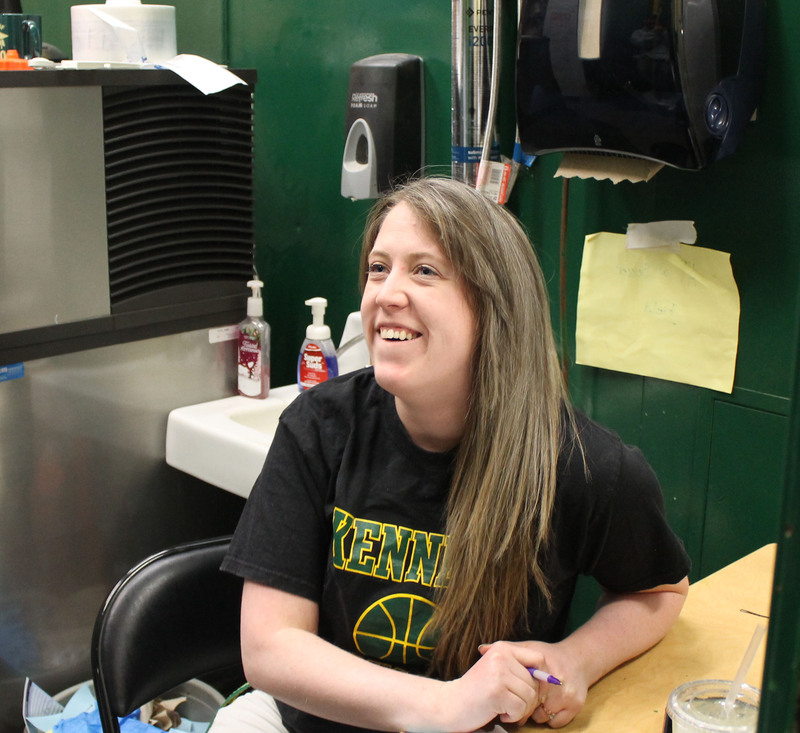 Kennedy’s new athletic trainer, Laura Jassowski, has been adjusting well after her first quarter dealing with a plethora of sports injuries like sprains, concussions, and fractures. Throughout her months at Kennedy, she has demonstrated her determination to do anything in her power to athletes back on their feet as soon as possible. She is always seen carrying her large bag full of athletic goodies that have a range for any injury whether for a simple sprain or a broken bone, and goes to every on-campus game ready to lend a helping hand. An athletic trainer provides physical medicine and rehabilitation services, diagnoses, treats and rehabilitates injuries (acute and chronic), coordinates care with physicians and other allied health professionals, work in schools, colleges, professional sports, clinics, hospitals, corporations, industry, and the military. Many athletes know about Laura’s “room of doom” where all athletes never want to be, where Laura assess athletes and delivers their fate. However, the room’s visitors are lucky to have an athletic trainer to help guide everyone no matter what the turnout of the injury. She always stays calm and keeps a positive attitude giving her a connection with all. “She is very thorough when doing her checkups, physical therapy, and recovery. When I’m hurt or when I see her helping other people who are hurt she is very nurturing. She was extremely friendly when helping me through my injuries and I am so grateful for her being here,” said Maia Campos, a sophomore. Laura Jassowski, Kennedy’s resident athletic trainer takes a break between bone breaks and muscle pulls.